A fundraiser for summer camp fun. 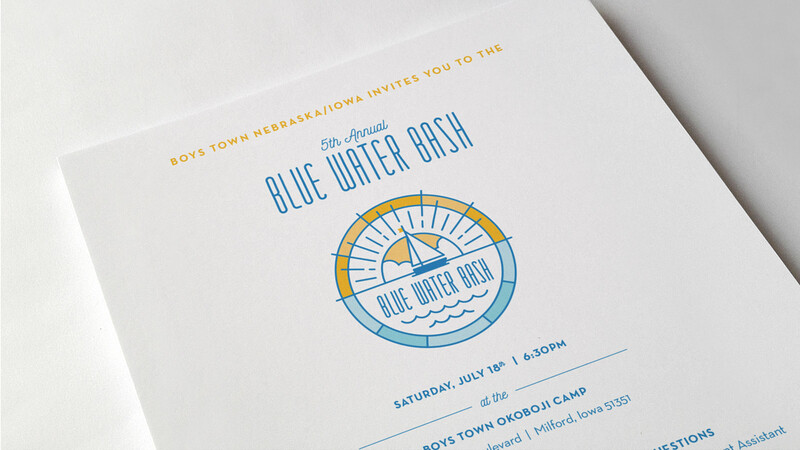 Each summer, Boys Town Camp Okoboji hosts Blue Water Bash, a fundraiser to raise monies for structural camp improvements. Inspired by our own collection of camp patches and memories of camaraderie and competition, we designed a patch-like logo to capture this sentiment. It features a sunrise to symbolize hope and a compass to signify the positive life direction this camp provides Boys Town youth. 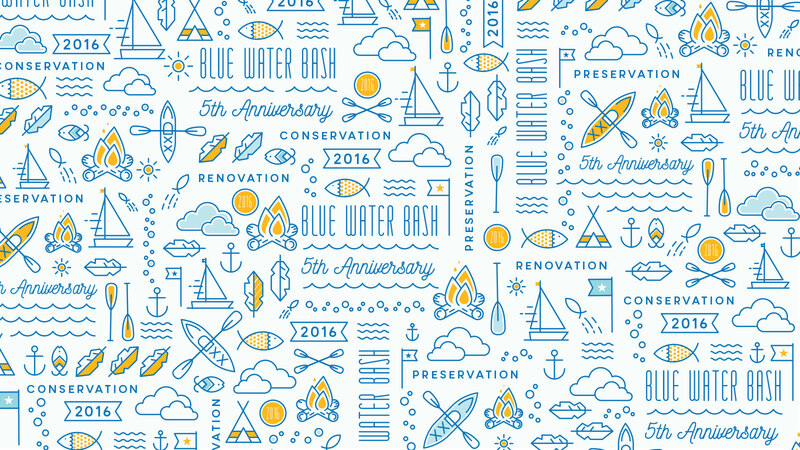 The logo and coordinating illustrations were incorporated into the 2016 invitation, signage, sponsorship packet and all event materials. 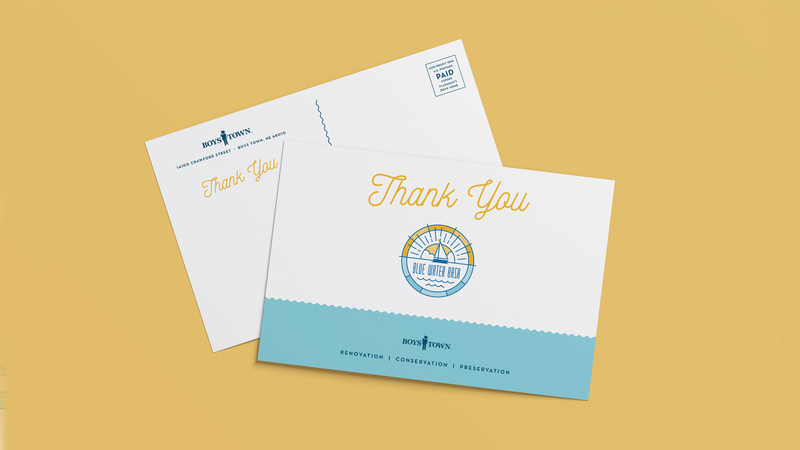 From 2015 to 2016, event revenue and event attendance nearly doubled.